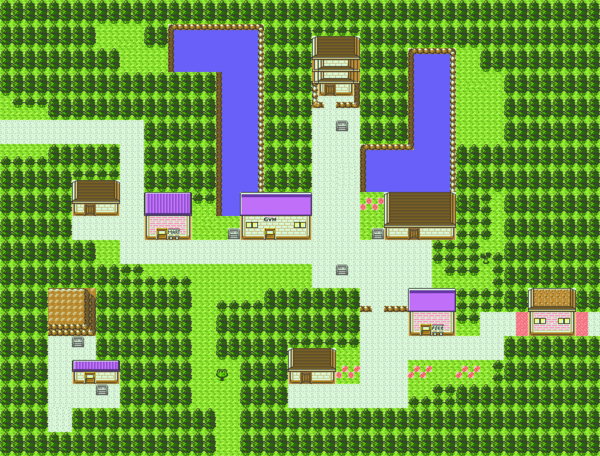 Violet City is the first city you'll visit that has a Gym in it. You don't want to rely on just one Pokémon for a Gym Leader battle, so you'd better catch and raise some wild Pokémon to fill out your party (especially if you picked Chikorita as your starter). You won't be able to reach the items above the city until you have Surf. This guy will trade an onix for a bellsprout. You can catch an Onix later, but you'll never get as much use out of one as you will now versus Falkner and his Junior Trainers. Visit the house southwest of the Pokémon Center with an extra Bellsprout in order to trade it for an Onix. As a traded Pokémon, your Onix will go up levels more quickly than a wild one, but you're stuck with the goofy name. Like all trades with computer characters, its starting level will be the same as that of the Pokémon you traded for it. To get the Onix with Rock Throw, train your Bellsprout to level 14. However, if you plan to use Onix in the first gym, do not let it get over level 9 or it will start disobeying you. 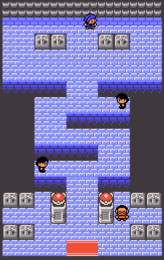 If you're playing Crystal, instead of heading south to Route 32 through the passageway under the Pokémart, head north and out of town to the left. (or take a detour and go through the Ruins of Alph) Up there you'll see a new little patch of tall grass which is part of Route 36-37. Here you can catch your first wild Fire-type Pokémon, Growlithe! Train it quickly in Route 31 or Sprout Tower at night. Very helpful for the Azalea Gym if you didn't choose Cyndaquil as a starter. If you talk to the man standing between the Gym and the Mart, and answer "No" to the question he asks you, he will lead you down to his Pokémon Academy to study up on Pokémon types and conditions. In this schoolhouse, he teaches his students some basic Pokémon battling and raising lessons. You can also learn a lot from the writing on the blackboard and the other students. Study hard! There are a lot of new items for sale, but nothing you really need (X Items are rarely worth it). The last item is mail for writing short messages. If your Pokémon are too weak for the Gym, build up some EXP at the Sprout Tower first. Sprout Tower is a good place to train your Pokémon and yourself. There is an opportunity to catch your first Ghost type Pokémon, Gastly as well. If your Pokémon are over Level 10, the battles against the Grass-type Trainers won't be very difficult. If your Pokémon aren't at Level 10, it might be a little harder—unless you started with Cyndaquil. It's your first Gym battle, so be careful. There are two Gym Members and one Gym Leader for you to fight, but you don't have to fight them without a break. If your Pokémon get too weak, take them to the Pokémon Center and heal them between battles, so they're able to continue. Since there hasn't been a chance to get any Electric Pokémon yet, your best bet here is Rock, by far. It has protection from both Flying and Normal attacks, and if you have Rock Throw (Geodude gets it at level 11), it'll wipe out any of Falkner's Flyers. Jigglypuff is also useful because it learns Rollout at level 15. 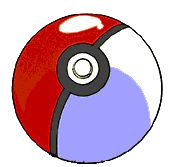 But you still need to look out for Pidgey's Mud-Slap; it does damage and lowers Accuracy, and the penalties add up quickly. Swap in a strong Pokémon that can finish this Flyer quickly, but watch out for its Gust. However, if you swap in a flying-type or any other type that has a resistance to the move, Falkner may not be able to react quickly enough. One suggestion is to use your recently acquired Onix to screech the Pidgey and Pidgeotto to low defense, then switch out to a flying type and quickly defeat it. When you beat Falkner, he will award you the Zephyr Badge and TM 31, Mud-Slap. Mud Slap is a move that performs offensively and defensively; it attacks the foe and lowers the foe's accuracy. Remember, you can use a TM only once. After you beat the Violet City Gym Leader, you'll get a surprise phone call from Professor Elm. He'll direct you to speak with his aide at the Violet City Pokémon Center, who will give you the Mystery Egg that you delivered to Elm earlier. It needs to be near active Pokémon to hatch. Keep this egg in your party as you continue your quest, and after an hour or so of traveling, it will hatch. That miraculous event is covered on Route #34. If you exmamine the map of the city, you'll notice two ponds. Surf across them, and you'll find a hidden PP Up and a Rare Candy on the other side. Don't miss these rare and valuable items! Onix learns most of its good moves at lower levels than it did in Red/Blue/Yellow, and it can now learn SandStorm, a move that deals damage to non-Rock Pokémon every turn. But the real excitement is that it can now evolve into a new Pokémon, Steelix. This evolution raises most of Onix's stats (except Speed) to competitive levels. A good defensive Pokémon which will be useful for the first two Gyms. Growlithe's evolved form, Arcanine, is one of the best Fire Pokémon in the game(some people prefer Charizard). With a third Fire attack (Flame Wheel) and the ability to learn Fire Blast from a TM, it's better than ever. One tip: Evolve Growlithe at level 50 to learn ExtremeSpeed, a new powerful Normal-type attack. This page was last edited on 11 January 2019, at 04:25. This page has been accessed 485,436 times.